About myself: I am a single mother, a woman, an immigrant (albeit not very recent), a student, a volunteer, a believer in social justice, and many more but I would like to leave it at that as I think those are the most important factors that all combined, define my identity. 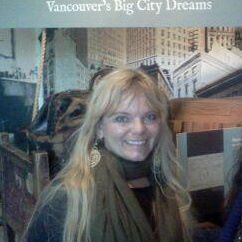 I work Downtown on the outskirts of Gastown and volunteer at Firehall Arts Centre. Why doing the Welfare Food Challenge: I have seen poverty in this city and I have seen injustice. I experienced living on welfare twice in my life but it was before the drastic changes to welfare program took place; it was in another province, and years ago … so I don’t know how it feels anymore. My worries: I worry that I won’t make it on $26 per week: when I think about it now and looking ahead, I feel that surviving on that amount is impossible. But I hope that this challenge brings awareness and actually challenges those in power, the law makers, to rethink their decisions.